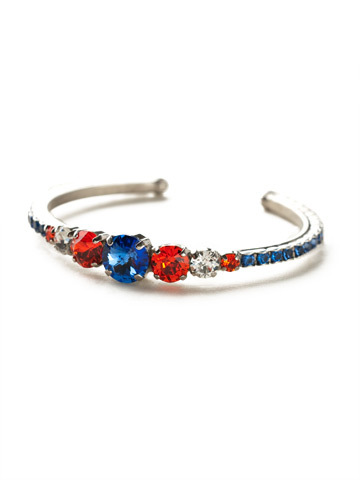 This cuff bracelet is pretty and petite yet packed with sparkle! Multi-sized round crystals cover this bracelet from end to end. Add this beauty to your current arm party or wear alone for a subtle statement.